The PACCAR and Dealer Industry Fund is a proud supporter of the ALRTA and our family of state associations. The Livestock Industry Operations Group (IOG) met with NHVR Executives in Brisbane this week. The industry group comprises the Presidents of all ALRTA member states and meets twice annually. The Livestock IOG also met jointly with the Agricultural IOG to discuss primary producer registration, chain of responsibility and livestock loading schemes. While we were in Brisbane, our representatives met with NHVR enforcement personnel to explore options for better dealing with effluent within the regulator’s enforcement guidance material and how this might link with our effluent code of practice that is currently under development. ALRTA staff also held a teleconference with NHVR staff earlier in the week to discuss progress with the code. ALRTA Project Officer, Sue Davies, is preparing a consultation draft based on member feedback collected at our six conference workshops held during 2018 and has spoken to ALRTA Executive members this week to identify key external stakeholders. On top of that, we met with a commercial entity that is interested in partnering with our association to construct and manage an effluent facility on the Warrego Highway. This avenue is very promising and well worth exploring further. Stay tuned! NHVR has confirmed that a review of livestock loading schemes will be undertaken during 2019. The review of state-based notice schemes is a logical progression for NHVR now that new national notices for B-doubles, road trains and agricultural machinery are in the final stages of delivery. It will not be possible to achieve full harmonisation of livestock loading schemes while also preserving all local productivity allowances – so both the regulator and industry understand that the review will be challenging to say the least. We have received assurances that ALRTA, our states, member operators and customers will be fully involved in the review process. We will have more to bring you on this significant issue in coming months. The ATA Council met in Canberra this week. Our representatives in attendance included David Smith (LRTASA President & ATA Vice Chair), John Beer (LRTAV VP and ALRTA VP), Lynley Miners (LBRCA President), Andy Divall (LBRCA member) and Mathew Munro (ALRTA Executive Director). Major issues discussed included: membership, mandatory minimum rates, HVNL review, accreditation and remote areas. The next meeting will be held at Trucking Australia 3-5 April 2019, Perth WA. “In NSW alone, we have seen a 28 per cent decrease of heavy vehicle fatal crashes in the 12 months to February 2019, he said. NHVR has confirmed renewal of more than 80 critical notices due to expire on 9 February 2019. Fuel tax credit rates increased for fuel acquired from 4 February 2019 in line with fuel excise duty rate changes. The new rates are available on the ATO website now. Don’t forget, you can use the ATO’s simplified methods to make it easier to calculate your claims. When you use the simplified method to apportion fuel you’ve used in vehicles with auxiliary equipment (such as tipping equipment for loading and unloading), you’ll use a percentage to calculate your fuel tax credit for each of your vehicles (for example, 30% for a concrete truck). idling or propelling of the vehicle off a public road. This means you don’t need to do a separate fuel tax credit calculation for these uses. Visit the ATO website for more information on the simplified methods for calculating claims. Transport Women Australia Limited will celebrate their 20 year anniversary with a gala dinner in Melbourne on 16 November 2019. Click here for more details. ALRTA was pleased to welcome national partners BP and PACCAR & Dealer Industry Fund to our office this week. BP are currently undergoing a broad internal restructure. Brooke Bainbridge, Business Development Manager, will take over the reins managing industry association partnerships from Vanda Power who has accepted a new role in the corporation. It was great to welcome Brooke and to have an opportunity to farewell Vanda who has been a close friend of ALRTA for many years. Luke Taggart, Chair of the PACCAR & Dealer Industry Fund, popped in for a chat and tour of our office on the sidelines of the ATA Council meeting. 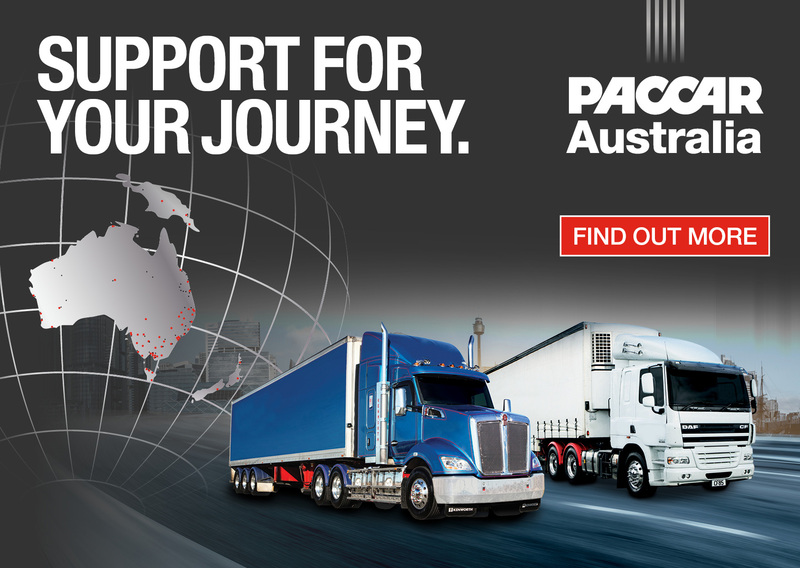 ALRTA is very pleased to announce that PACCAR & Dealer Industry Fund will continue to support our family of associations during 2019. Members are advised that the ALRTA National Council will meet in Canberra on Friday, 29 March 2019. For more information please contact the ALRTA Secretariat at office@alrta.org.au. This entry was posted in ALRTA Council, ALRTA Weekly News, ATA, BP, effluent, National Council, NHVR, PACCAR & Dealer Industry Fund and tagged ALRTA, ATA, conference, effluent, General News, NHVR. Bookmark the permalink.